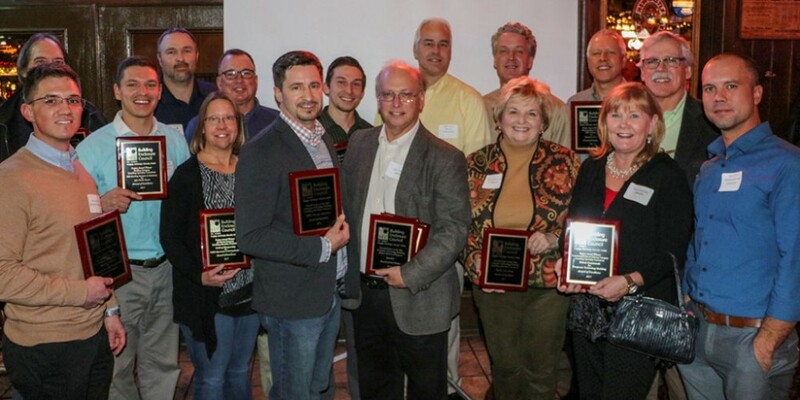 Our 2017 BEC Awards will be published in January/February 2018 issue of St. Louis CNR. 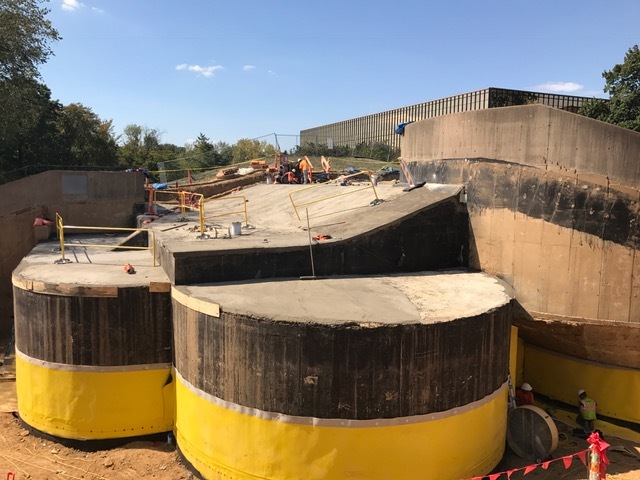 Remedial waterproofing of underground concrete structure that houses the main cafeteria at Monsanto’s Word Headquarters in St. Louis. 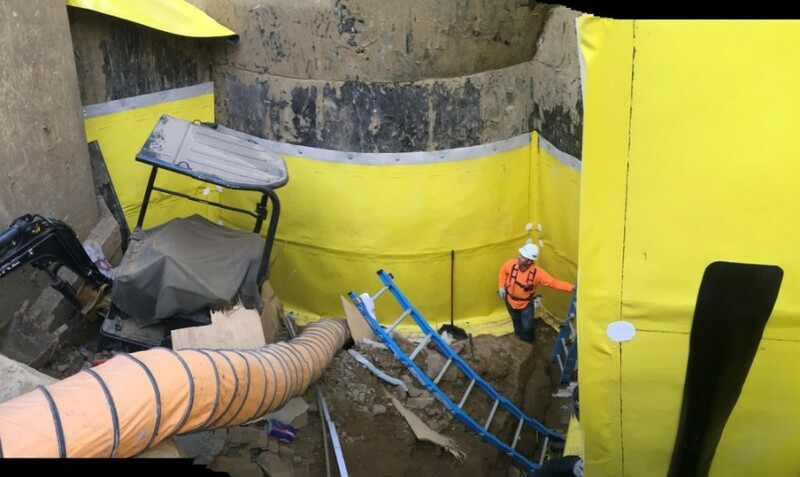 Scope included the excavation to remove soil overburden, removal of foam glass insulation, application of new waterproofing membrane and drainage composite layer integrated into new drain pipe system. 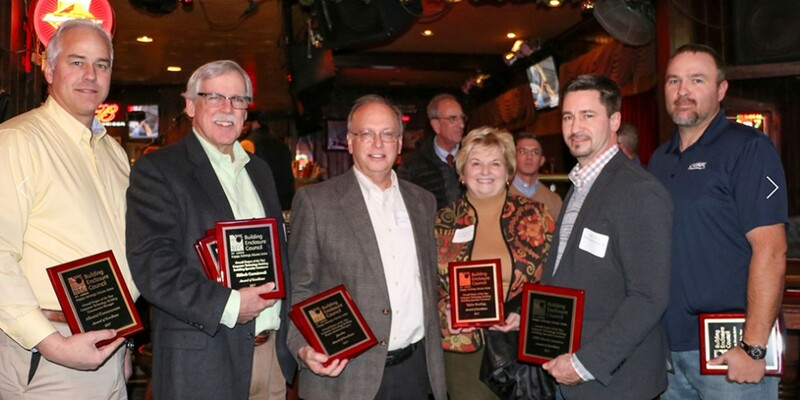 Phase I of this multi-phase project consisted of 12,000 sf of a total of the 75,000 sf area to be remediated. scope of work as well as establish a realistic budget and schedule for the project. Monsanto was interested in a fast turn around on the project to minimize the time open trenches would be exposed. There was also a desire to fast track the waterproofing installation in order to minimize the time workers would be required to work in the excavated work areas. 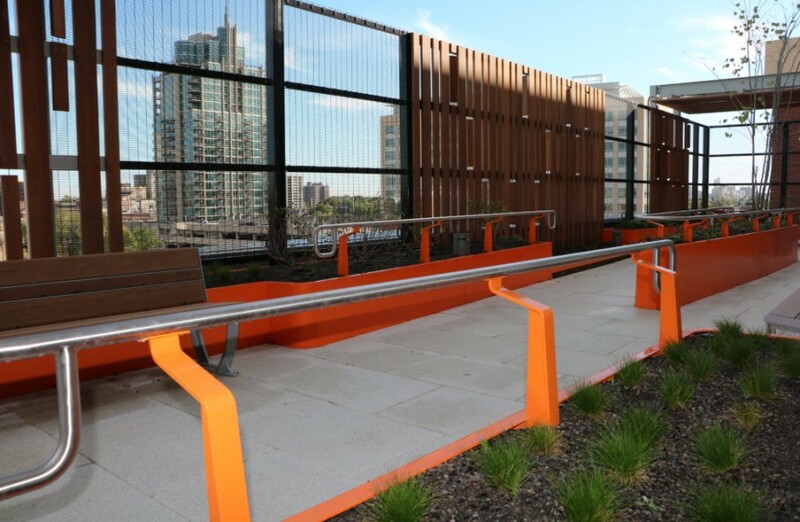 A product was selected on the basis of its ZERO VOC AND ODOR free characteristics as well as the ability to be applied over the substrate contaminated by existing waterproofing membrane. Excavation was the first challenge as the use of heavy equipment on top of the structure was not an option. Conventional excavation was coupled with Hydro-Excavation to achieve exposing the structure. 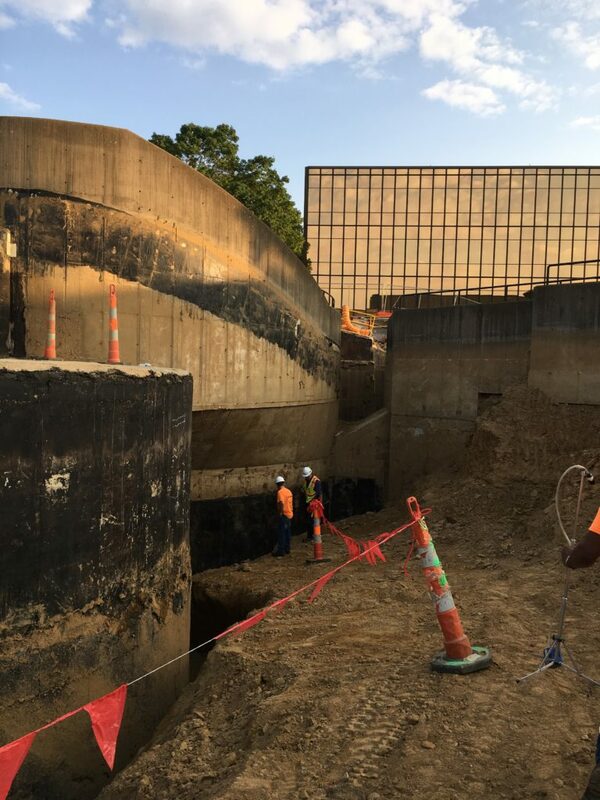 The complexity of the structure featuring continual radius walls, inverted and sloped walls that intersected straight and angular walls challenged both excavation work as well as application of the heat welded preformed membrane waterproofing and drainage layer. 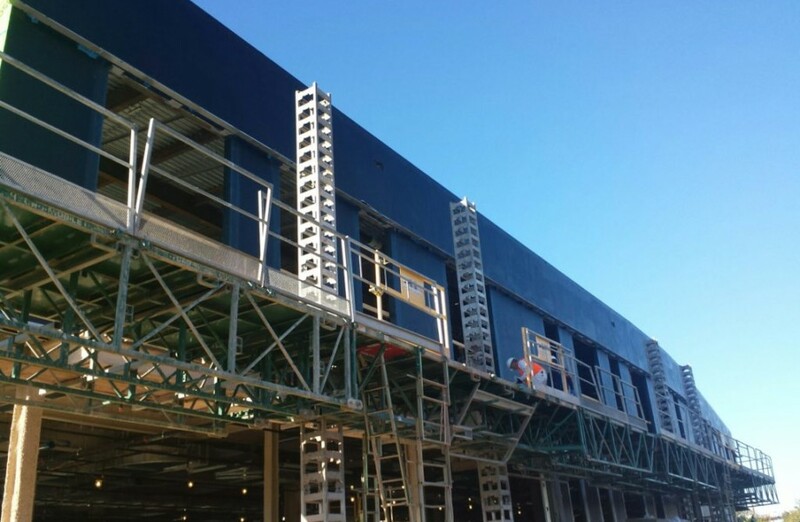 The greatest challenges came with the installation of the membrane waterproofing on the contoured substrates. Integration from vertical to horizontal orientations were endless. 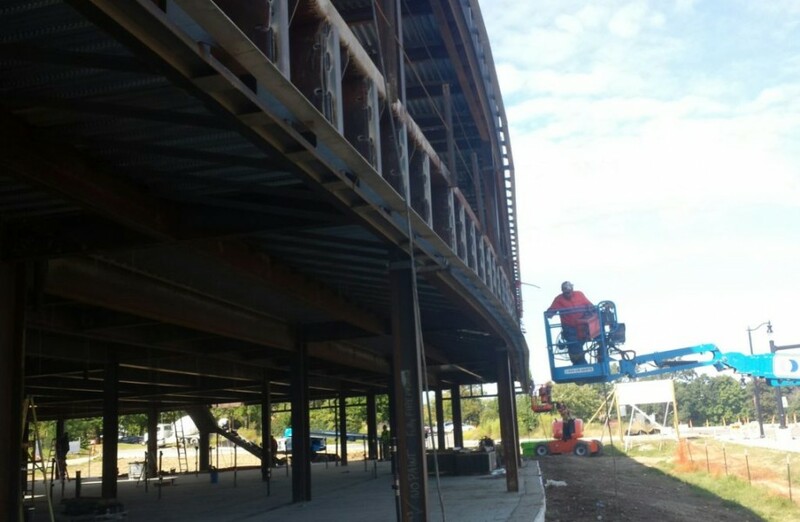 Radius walls and footings posed constant challenges to the installation mechanics given that each sheet required a combination of robotic and hand heat welding. 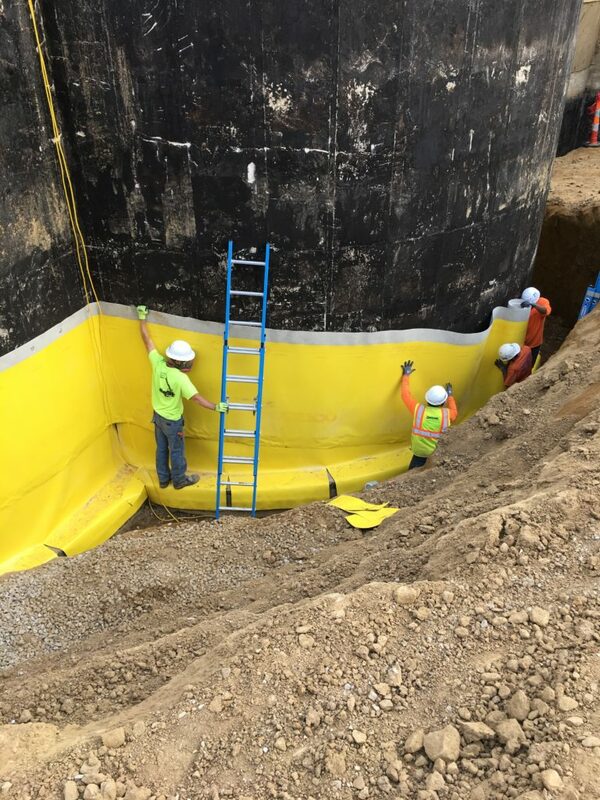 To assure water tight integrity before back-fill each welded seam was inspected by a 3rd party inspector and then followed with Electronic Vector Mapping System. A major advantage to the installed system was the avoidance of any compatibility issues with the existing waterproofing system. 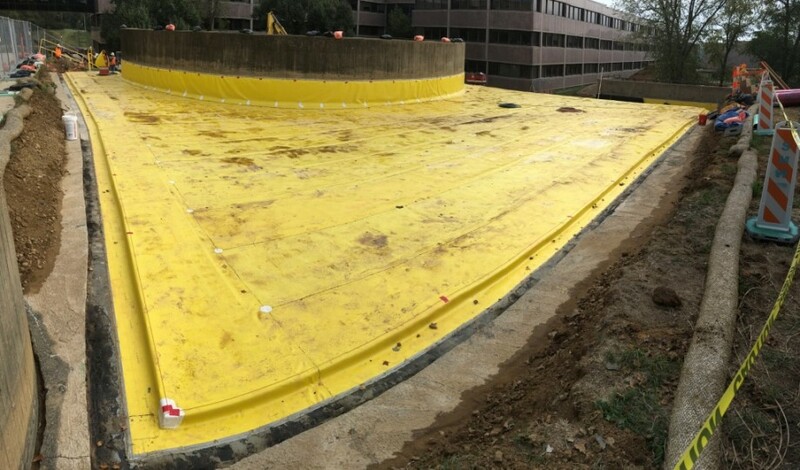 This saved both time and money by eliminating the need for total removal of the original BUR waterproofing system. This project focused on correct tie-in details.Many job-specific details made this project work. Many job-site visits and also pre-construction meetings to bring all the trades together to make this project a success. One hurdle was the time of year this project was being constructed. It was being built during the winter. All trades did what they needed to do to make this a success. The AVB was scheduled to be installed during the winter. 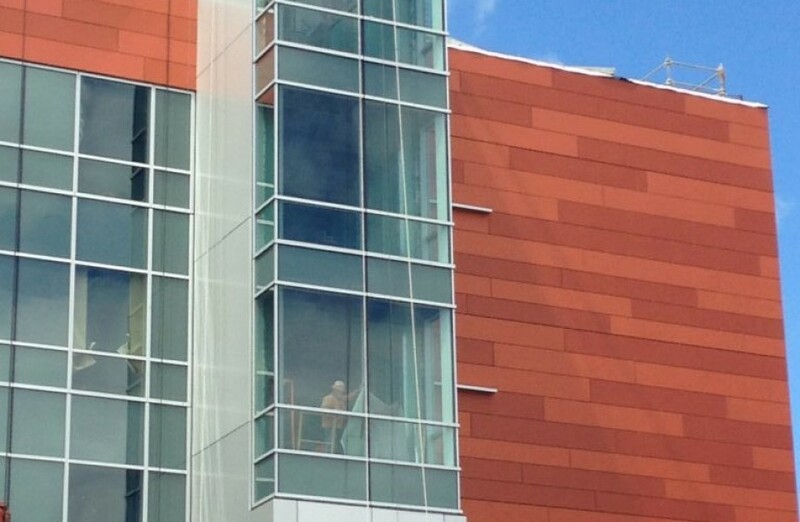 The product that was specified had a 50 degrees F and rising installation. 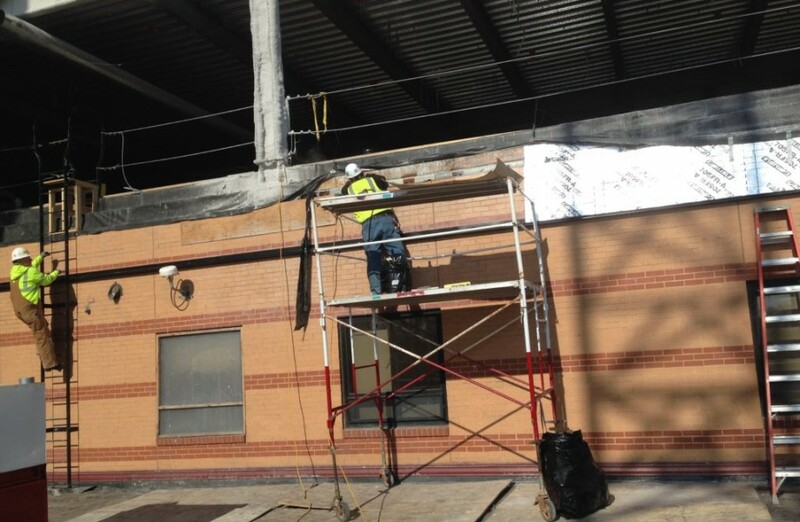 In addition, the below-grade waterproofing (a peel and stick) had to be installed in between rain. 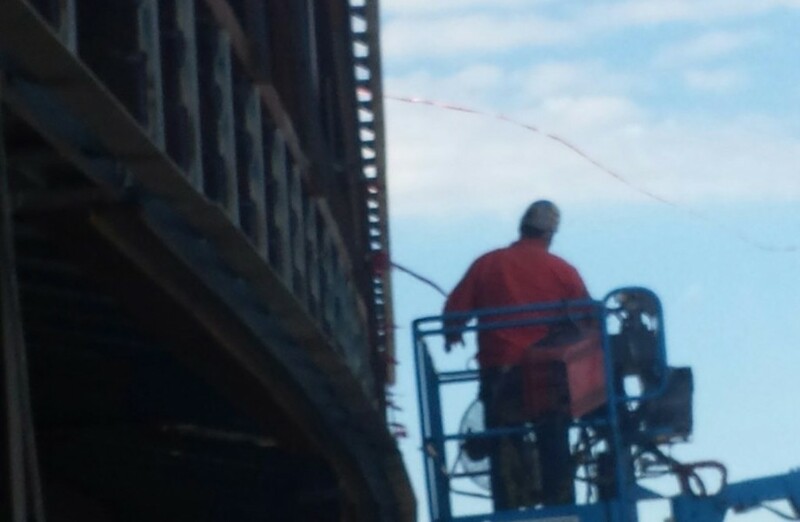 There was a lot of rain during the installation of the below grade. Many job-specific details throughout this project and many meetings and coordination needed for each trade. There were many tie-in details and sequencing meetings to make these details a success. 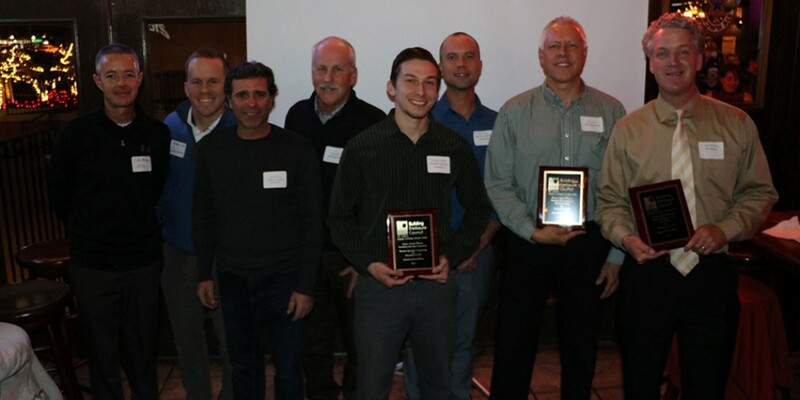 The entire construction team made this a success by understanding the importance of correct details and all trades understanding the importance of getting this right. 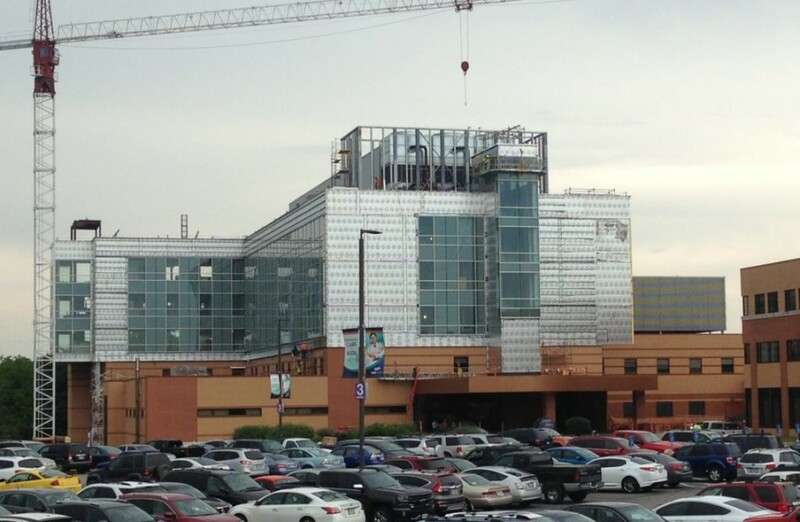 This roof is 78,800 SF overall with 23 roof levels. 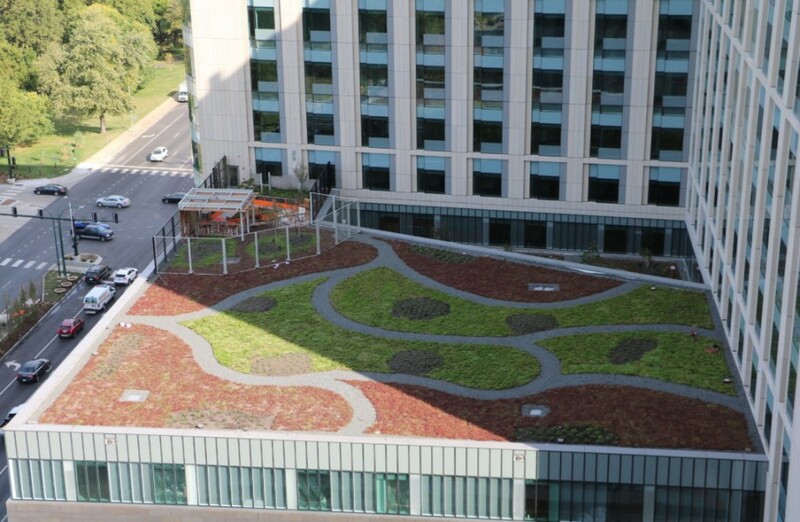 Sections of this roof application include standard TPO roof installations, and garden roof areas where Carlisle supplied all of the overburden products, including the growth media and sedium plants. RSS, working in conjunction with their landscaping partner, DJM EcologicalSErvices, did a fantastic job and the results speak for themselves. There were 458 yards of growth media used. Electric Field Vector testing on all garden areas. Infrared scan testing on all non-garden areas. 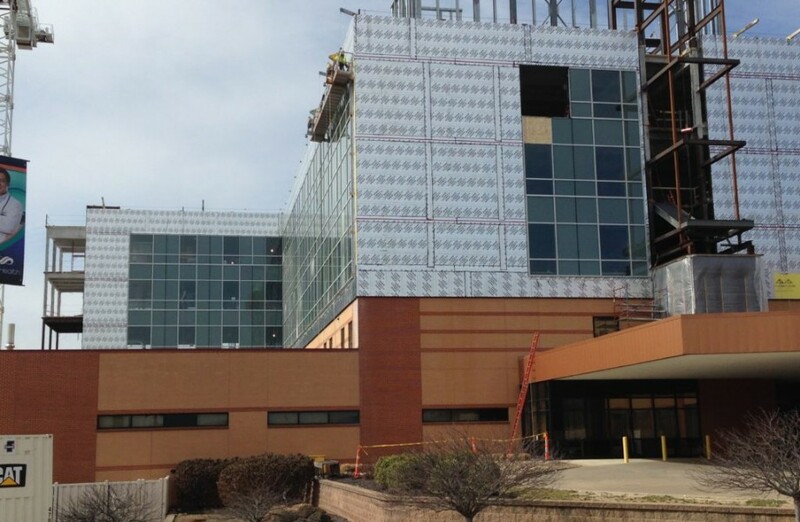 This project was a vertical expansion of an existing, occupied hospital delivered as a total enclosure design-assist delivery method, under a GMP contract with Alberici Healthcare. 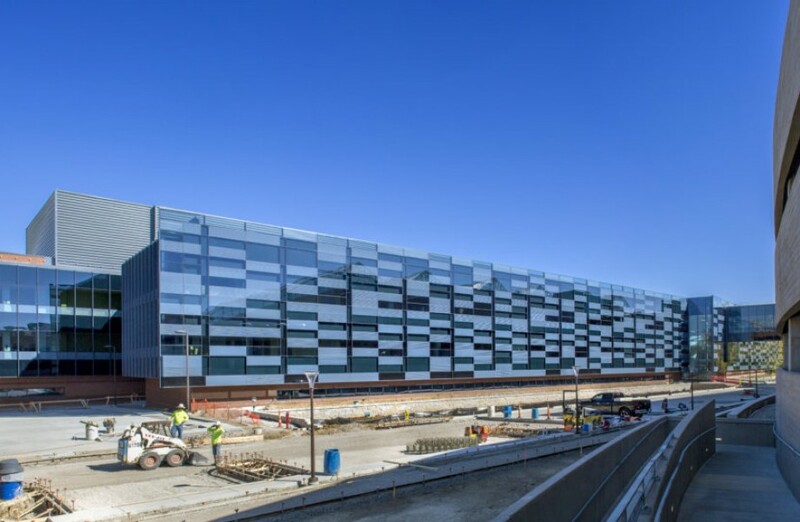 Project consisted of approximately 37,000 square feet of unitized stud panels with AVB applied in a shop environment, 23,000 square feet of custom united curtain wall, 37,000 square feet of multiple rainscreen cladding system. Scope of work under this contract consisted of complete design and engineering of the enclosure components. The contract was issued based on schematic design and all details, coordination and tie-in’s were developed under this contract during the design assist phase of the project. 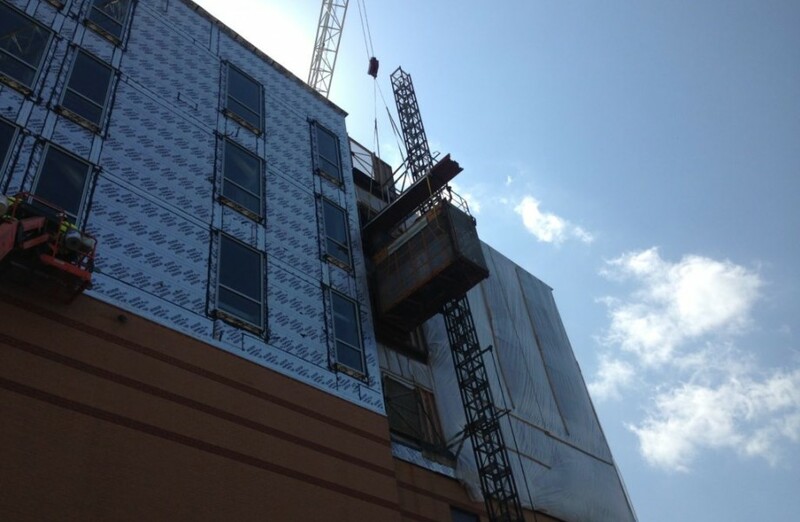 Being a unitized stud/sheathing and air barrier approach, all of the tie-in, expansion joint details and locations and roof-to-wall tie-in conditions had to be thoroughly thought through and developed during the pre-construction phase. Additionally, the enclosure was the critical path of getting the building dried-in to begin interior finished, thus scheduled development and sequencing was a big part of the pre-construction efforts. 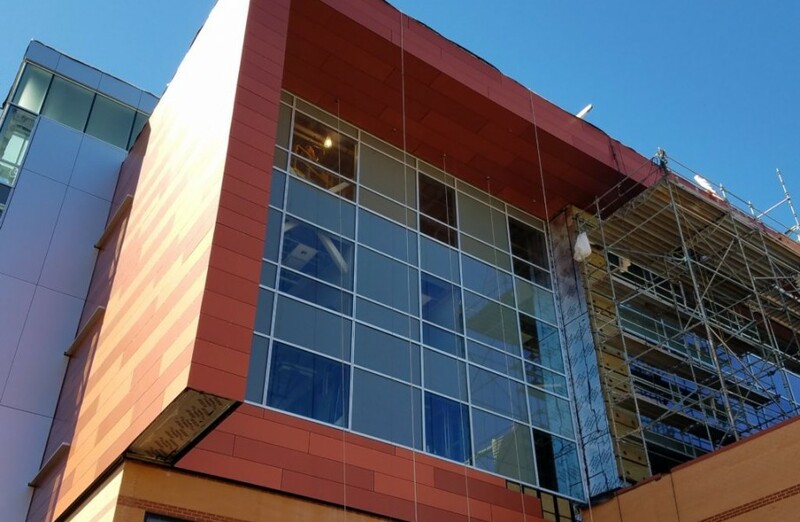 Additionally, during the value management part of pre-construction and design, we were requested to analyse the current design and come up with a way to better optimize the yield of the exterior cladding panels to save money. 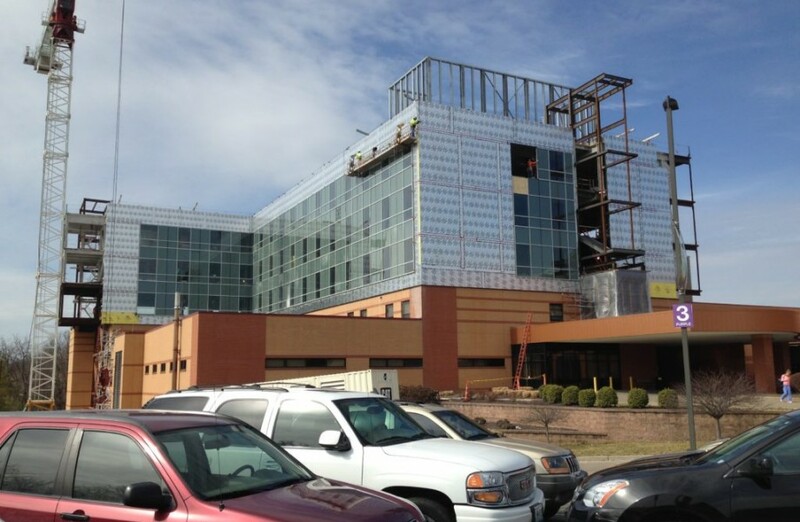 The enclosure of the project started in January 2015 and thus the weather barrier tie-in to the existing hospital also occurred during this time. 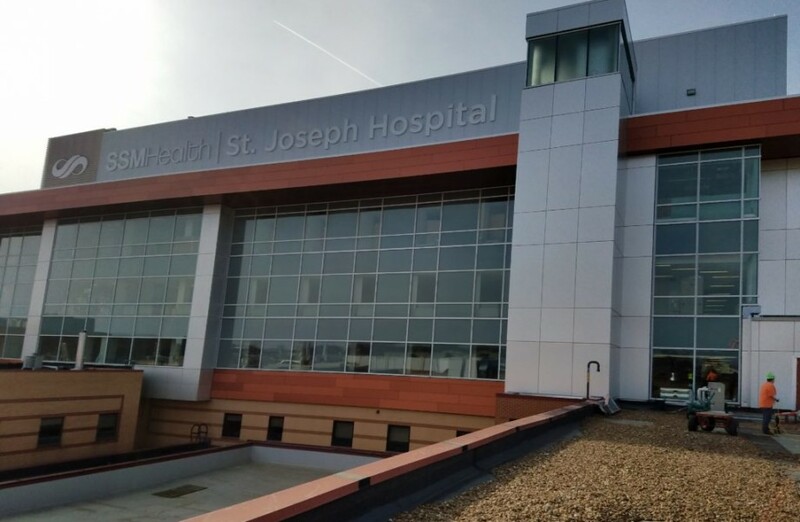 In order to maintain occupancy of the hospital being added on to, demolition was minimal and a detail was developed to limit element exposure and sequentially installed as such. The geometry of the building posed the biggest installation challenge. 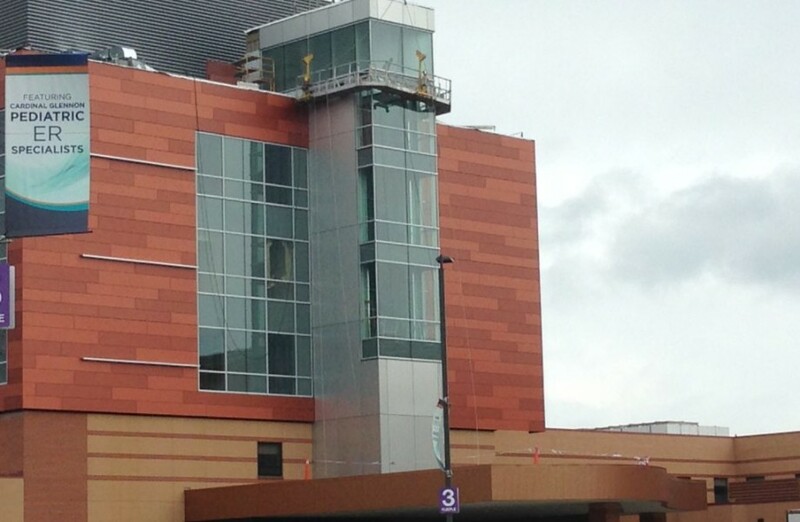 In addition to all of the enclosure being constructed on top of an existing, operating hospital, the North elevation of the building had a 15-foot deep soffit at the top of the new vertical expansion and (2) 15-foot deep vertical fins at each end of the building, not accessible by any means from the roofs below. 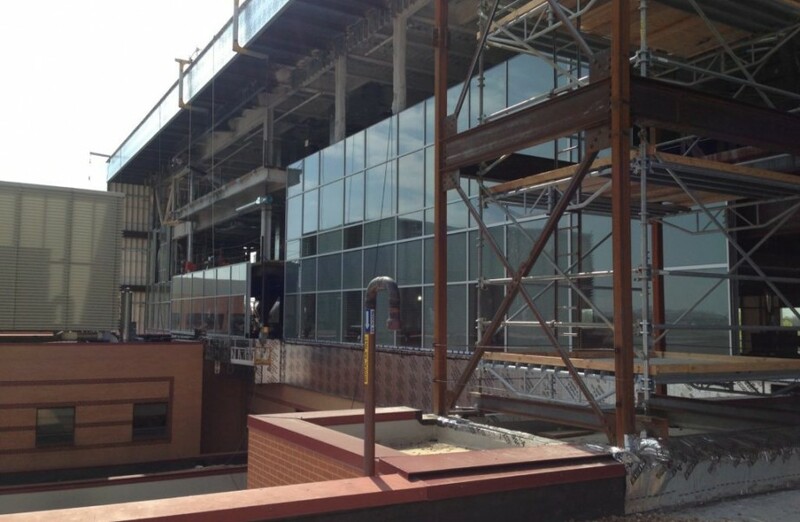 Specialty rigging and access equipment from the roof of the new expansion along the built-up scaffold on the roof of the existing hospital, allowed for the installation of these areas. 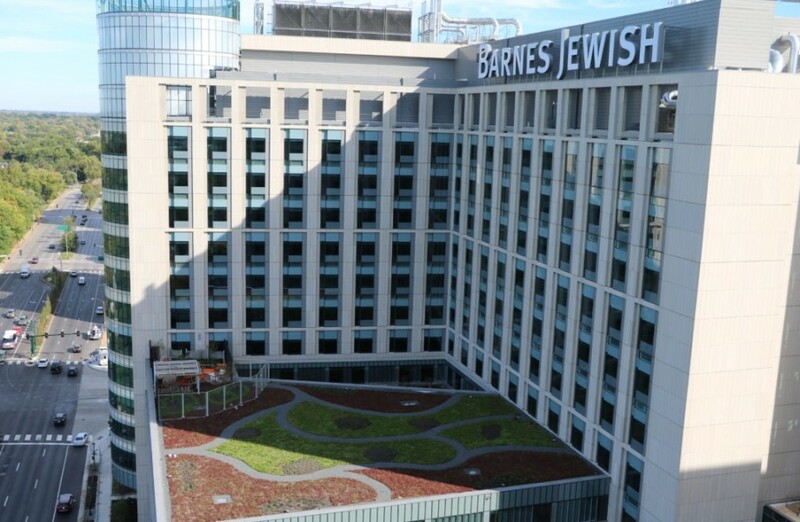 Another challenge was schedule and sequencing, specifically the existing ballasted roof of the existing hospital was not to be removed until the new vertical expansion was considered weather-tight. To accommodate this, the majority of the walls were constructed, installed and made weathertight leaving a few open areas where the old material was able to be demolished and removed from the existing roof. 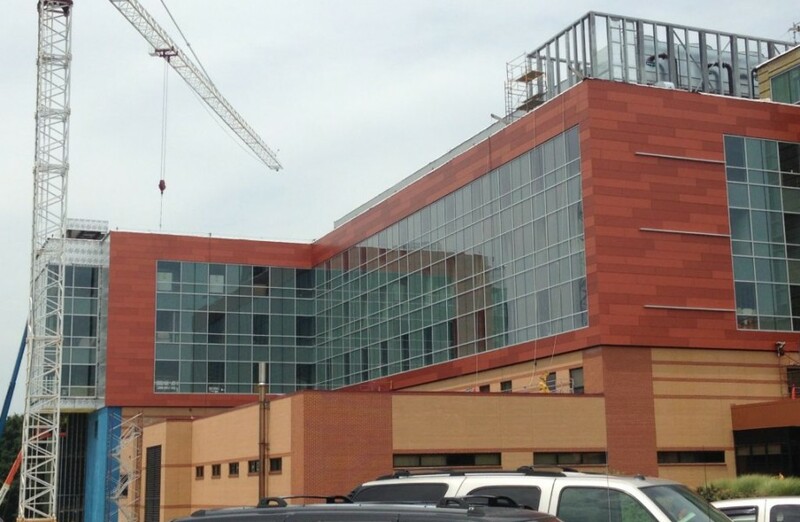 NFPA 285 – it was a requirement of this project to have NFPA 285 assembly tested systems for the enclosure. Due to the required U-value, the insulation thickness for the exterior wall types created assemblies that had not been tested before. 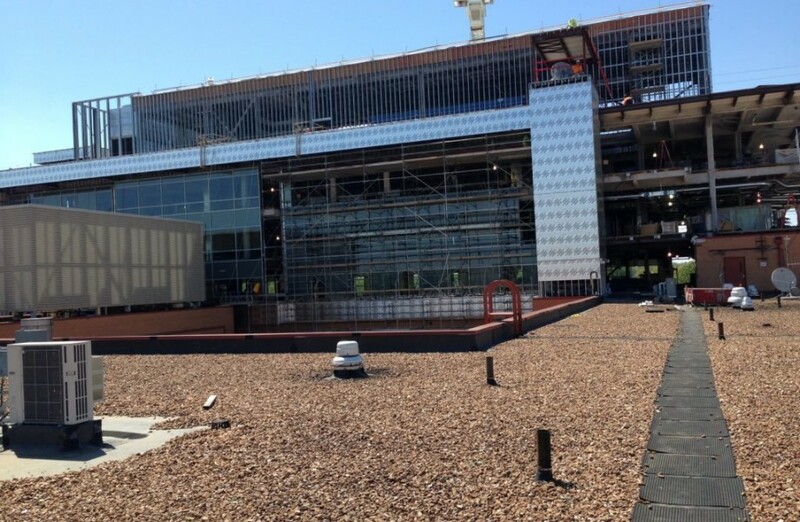 Third party review by code consultants, fire marshals and envelope consultants concluded that switching from the proposed AVB to a foil-face AVB would achieve the project requirements without having to perform an NFPA 285 test. 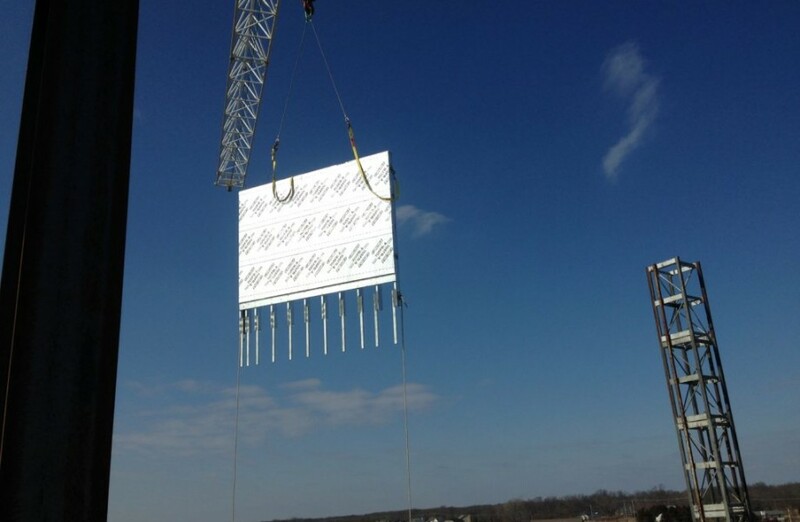 In additional to the above mentioned challenge, IWR developed a thermally broken sub-girt system that was put under thermal modeling to ensure proper dew point and thermal transfer was achieved. 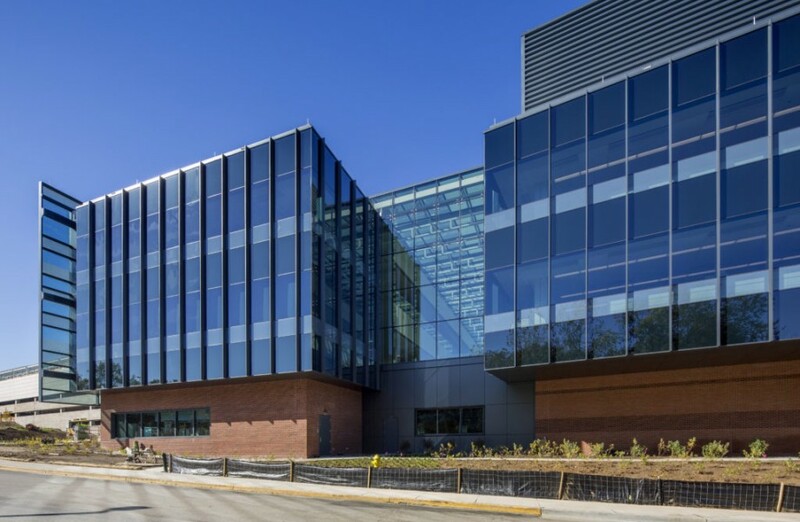 This 400,000 square foot building facilitates the continuation of the advanced biological study of agricultural products. 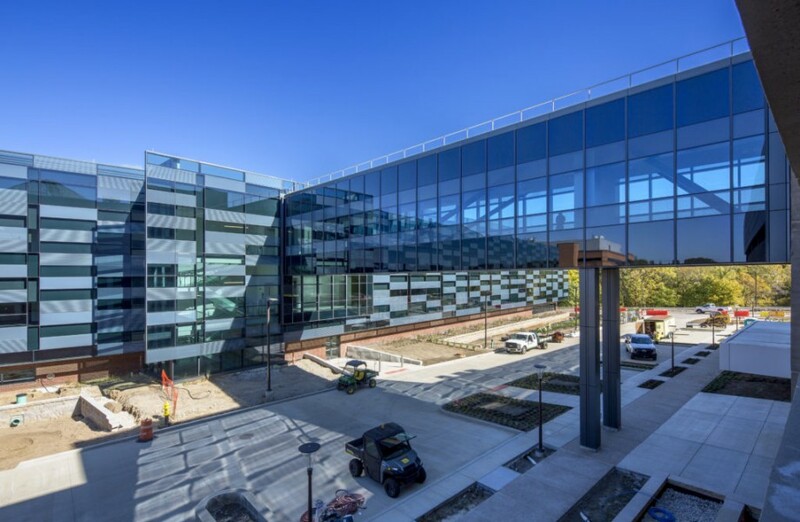 Housing approximately 620 people, the state-of-the-art laboratory facility shares an open and collaborative office plan provided with ample light via an expansive atrium and a fully glazed south façade. 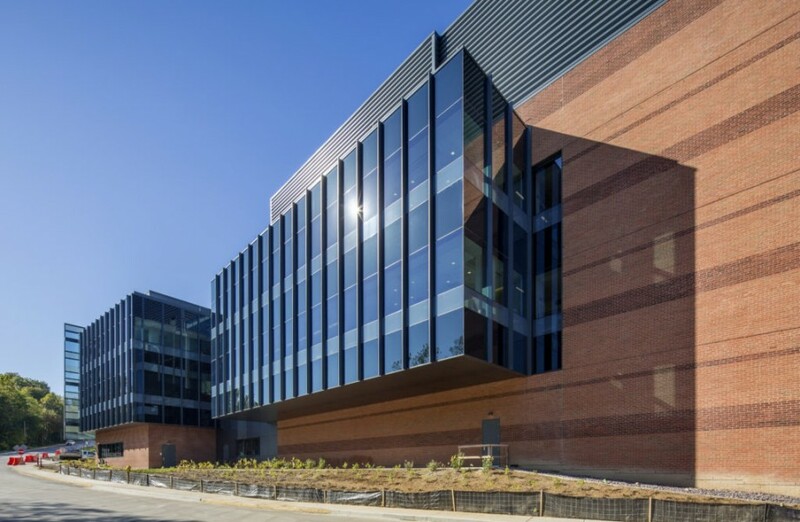 With no main entry on the exterior, this building connects to a campus circulation spine, allowing occupants to enter from the garage at the third floor while continuing to access the adjacent buildings at all floors. The existing site of the Technology Building poses no significant challenges to the building’s design. 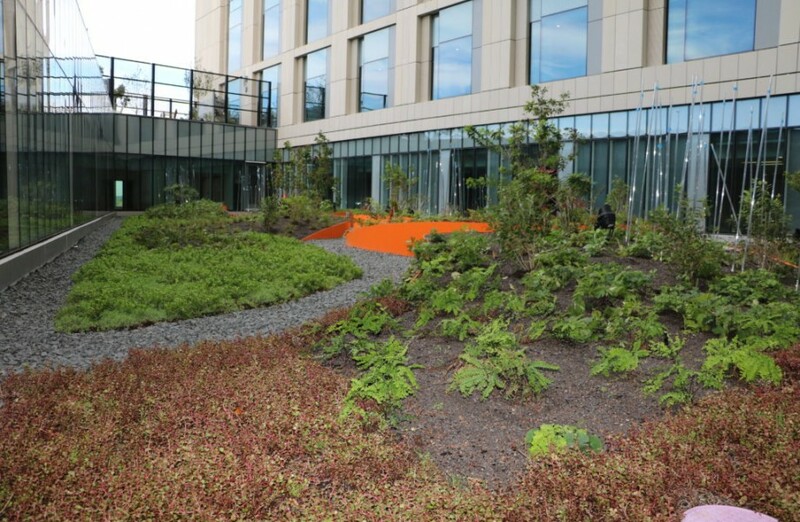 The minimal amount of vegetation around the building within the lot lines of our site remain modestly contextual, retaining existing trees where applicable and using plants and grasses associated with the existing landscaping. 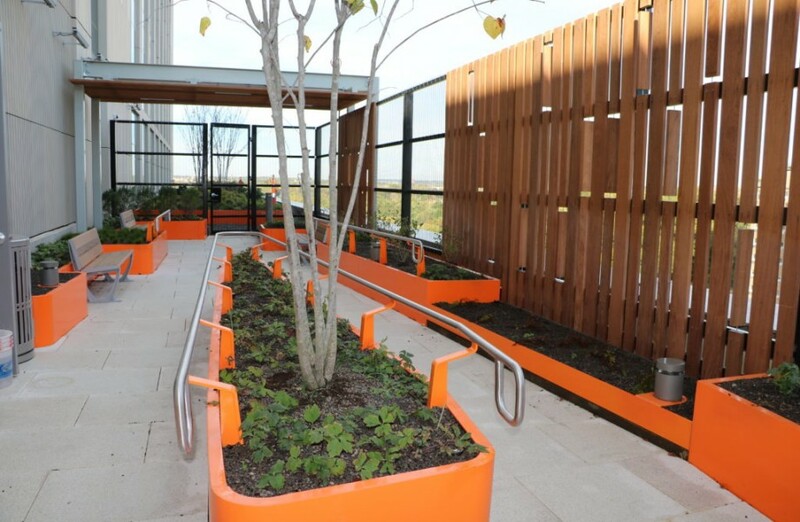 The building’s siting allows for landscaping between adjacent buildings to directly associate with its courtyards. 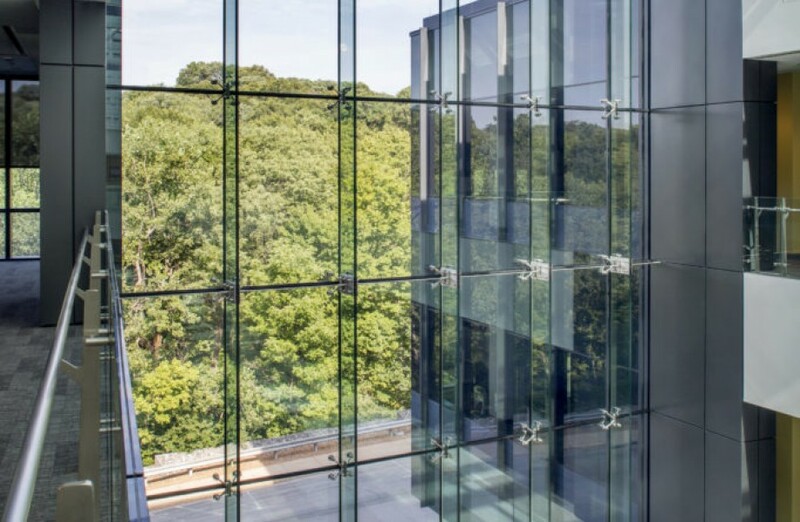 In keeping with the campus aesthetic, the building’s form responds to the adjacent buildings, with strong, linear elements of the same scale and shape. The southern office element bends to directly respond to existing buildings. 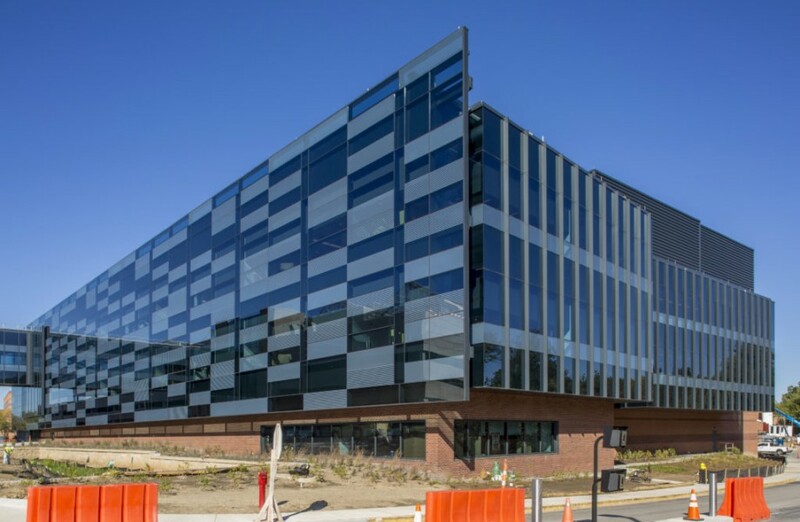 The concept creates a building that both fits into the campus as a part of the masterplan, and expresses the contemporary culture of a forward-thinking corporation. 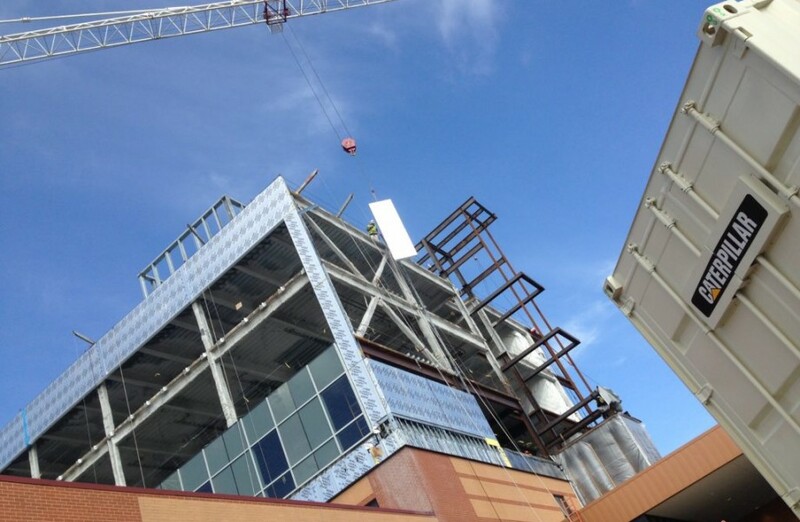 Preconstruction process included Value Engineering – refining and solidifying the design solutions while maintaining control of total building costs. 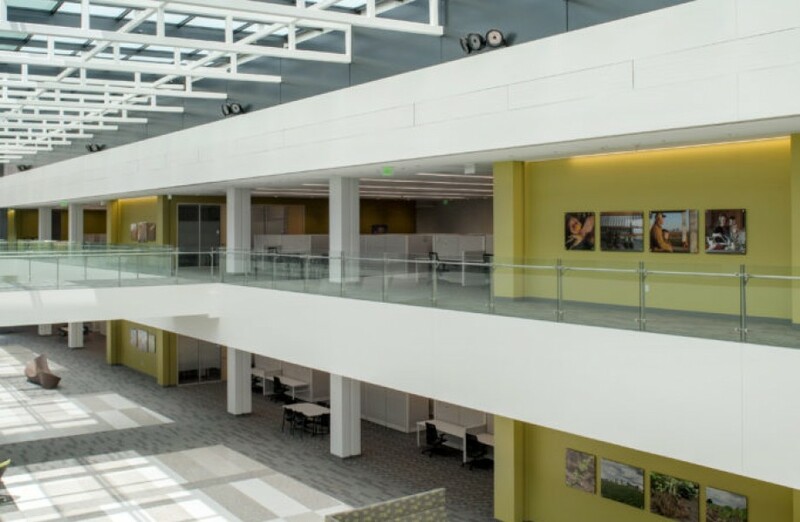 Design assist was utilized for the curtainwall and skylight – taking advantage of current available technology and construction / installation methods. 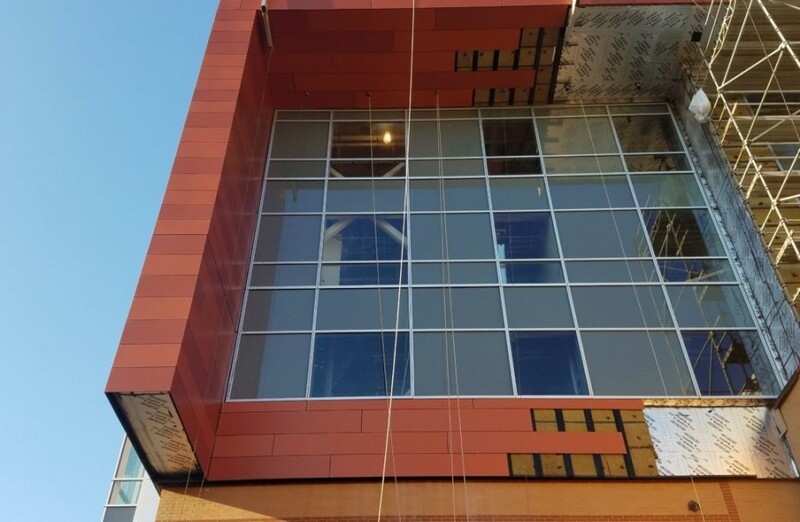 Maintaining the continuity of the exterior wall assemblies requires that a system for tying the opaque wall systems ties into the glazed openings. The use of a “cavity seal”, in this design, a pre-formed silicone sheet was incorporated into the finished joint between the 2 parts. 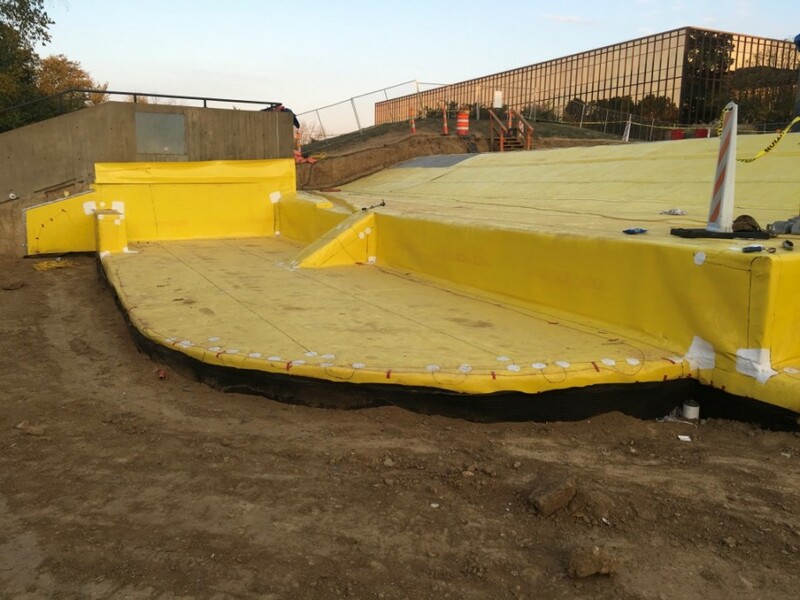 The silicone sheet was sealed to the air vapor barrier with a compatible sealant product. 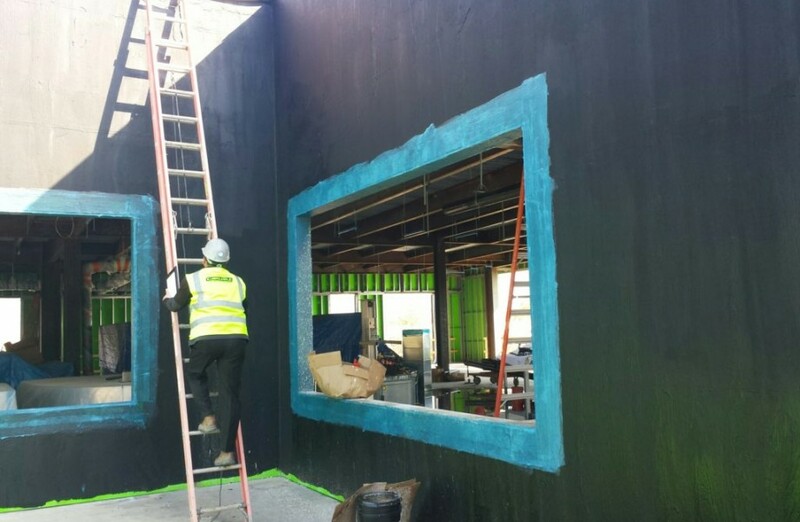 The cavity seal was fastened to the glazed opening framing with a manufactured transition assembly. 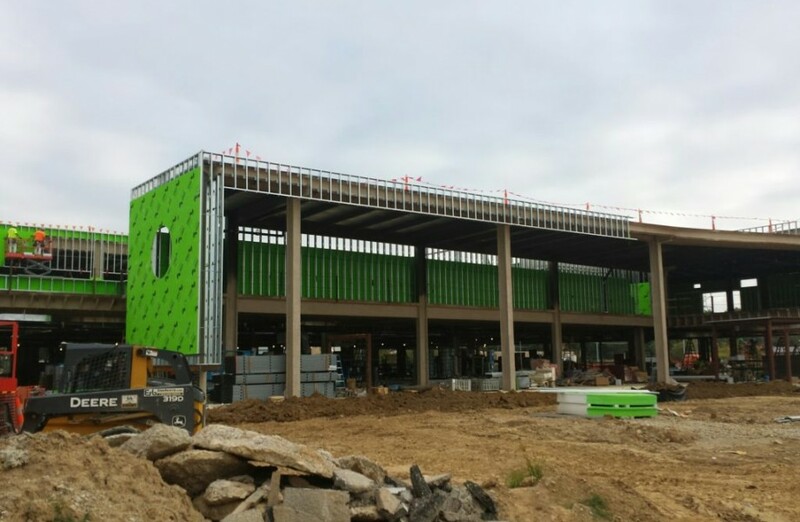 Project utilized a design bid build with a CM at risk – although timing was set to create a workable schedule – unintended schedule issues caused some delays with the building enclosure which placed several activities such as air barrier and masonry installation into late fall and winter. Temperatures remained sufficient to keep from using winter techniques but the enclosure delayed the building from being water-tight. Interior work continued to maintain schedule, but additional quality control efforts to prevent water damage had to be implemented to assure that no issues were encountered. 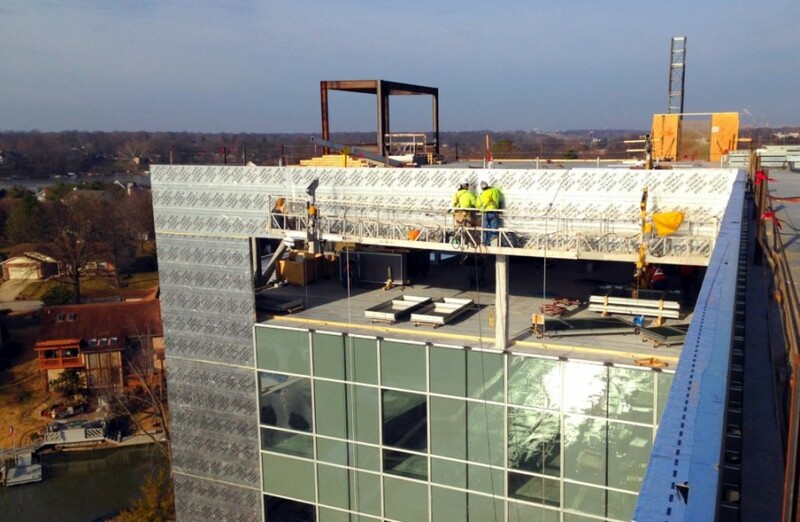 Most challenging part of the installation components was the skylight – with a length of almost 400 feet long, the challenge became the coordination between the skylight framing and the structural truss system which spanned the width of the atrium space. Careful coordination of the 2 systems was critical to the success of the final product. Fire protection of the atrium proved to have challenges. 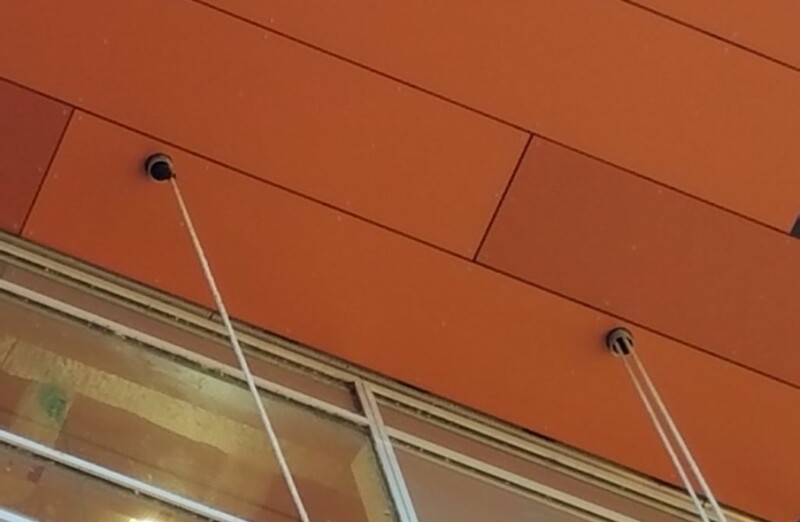 The sprinkler lines and heads needed to integrate with the skylight framing system to provide proper coverage and code compliance while maintaining the architectural design intent without being visible. Other Challenges/Information. 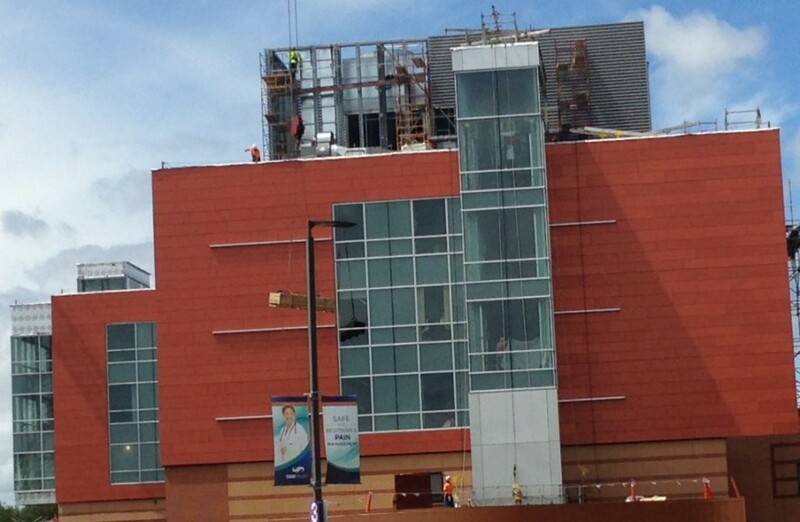 Façade testing and commissioning and an accelerated project schedule required constant review and updating. Continued exploration of the efficiency and desired performance net results complicated the schedule.